Like many prestige brands, Italian superbike outfit Ducati trades heavily on “heritage.” Their website includes this nice timeline of their heroic motorcycles and riders through history. That history has just been tweaked a little to fit a modern commercial narrative. One image in particular has been most blatantly altered. 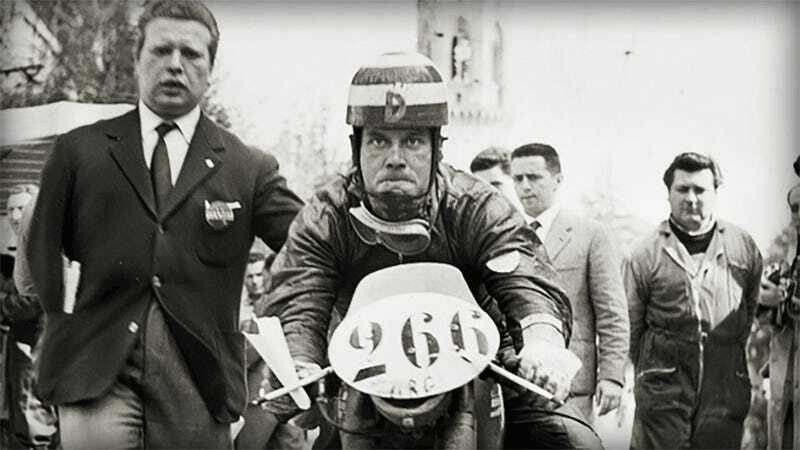 In the 1950's Florence-born Giuliano Maoggi was rising to motorcycle stardom racing Ducatis and generally being a badass. 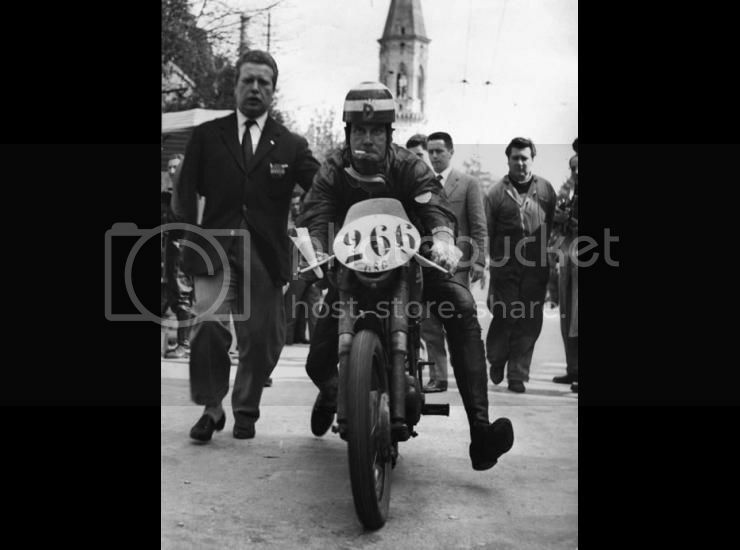 This image of him, mounted on a 125cc Ducati at the start of a 1956 “Gran Fondo” endurance race, became one of those famous pictures you can’t help but run into if you spend any time researching old motorcycles. That’s probably why Mark Rechtin, who writes for Consumer Reports, noticed the version of the image on Ducati’s site was missing something: the cigarette hanging out of Maoggi’s mouth. Whoever doctored the picture for Ducati’s site did such a damn fine job cleaning it up that for a moment I wondered if the sans-cigarette image was actually the original. Especially since the “clean” version appears on other sites too. I’m guessing whoever wrote that didn’t get the memo that the “cigarette between his teeth” was not appropriate for marketing material. Otherwise it seems real weird to bullet-point it on Maoggi’s little resume of badassity there while making sure nobody actually sees it. “...our colleagues in Bologna have Dr’d the photo in an effort to portray a healthier lifestyle. One doesn’t have to search very hard to find images of racing “heroes” and legends from only a few generations ago that indulged in vices that would now... at least [result in] the loss of big money corporate sponsorship and at the worst expulsion from the actioning body itself. So there you go. Nothing says “healthy lifestyle” like racing motorcycles in the 1950's, right? Who knows what hell would break loose if the Ducati-buying public were to know the men racing their motorcycles’ predecessors smoked on the job. Wouldn’t want anyone to think they’d be doing anything remotely dangerous, like smoking a cigarette. And heaven forbid someone who races motorcycles for a living engages in risky behavior, like cigarette smoking, lest they be expelled from an actioning body! I guess I’m not really “offended” that Ducati felt the need to sterilize this image, more just annoyed. Why use such a famous a picture so prominently featuring a cigarette if you want to portray a healthy lifestyle? Why reference the original in the caption?